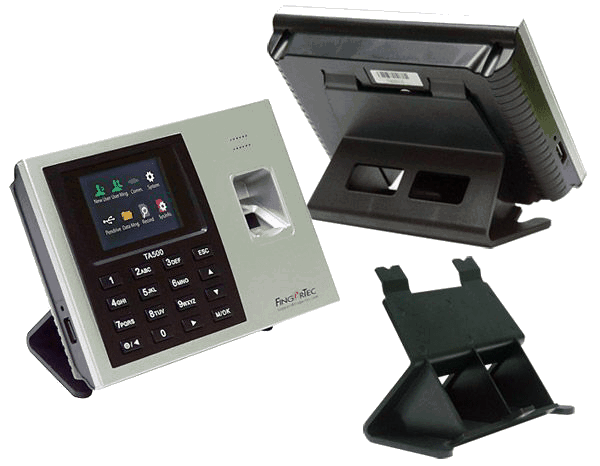 TA500R Time Clock with card reader and TCMSV3 time attendance and job costing software Package Deal. 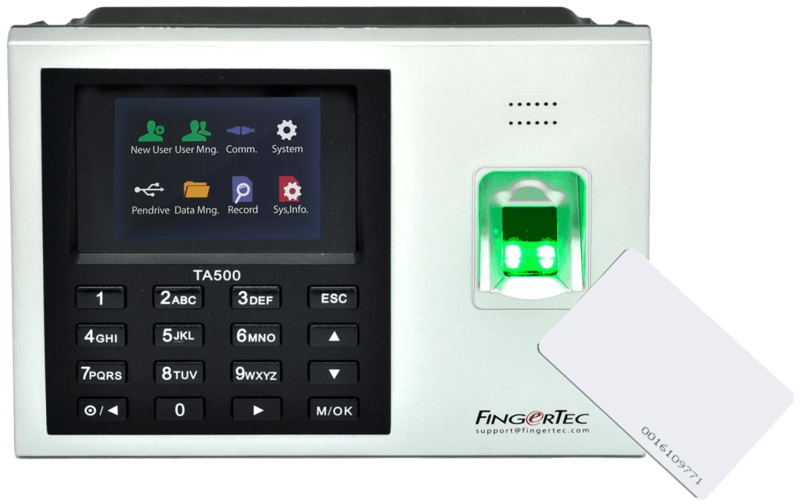 Fingertec TA500R is a biometric electronic time clock. 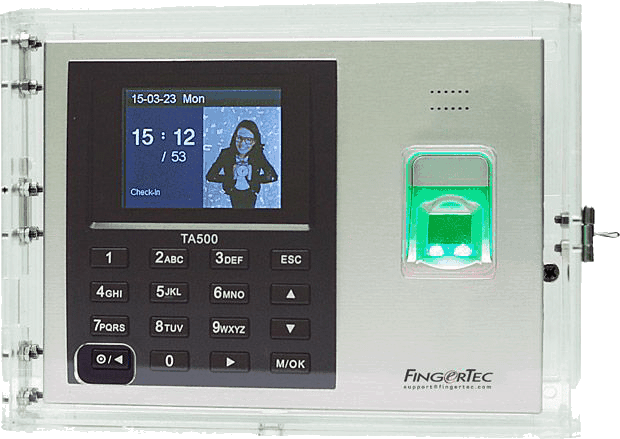 It allows for fingerprint, proximity card and password clock in. 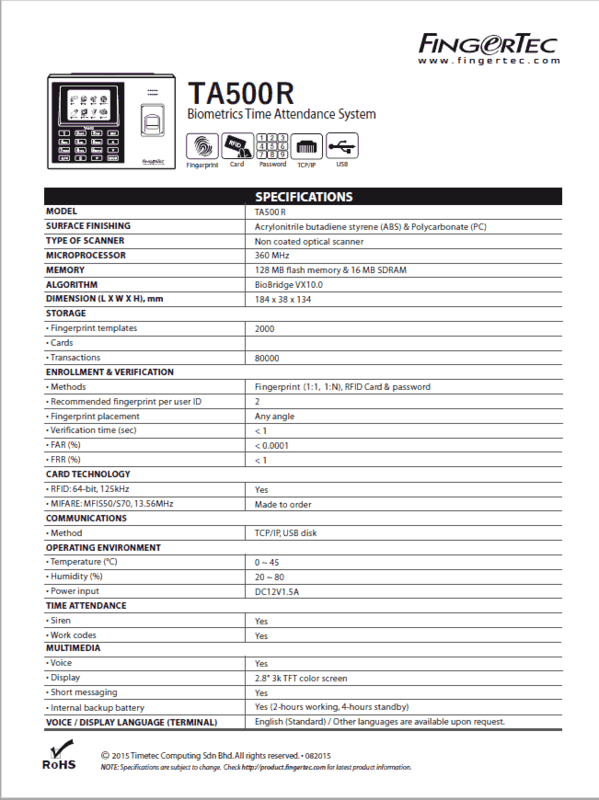 Included with this Biometric Time Clock is the TCMSV3 Time and Attendance Software, Software Remote Setup and Consulting, 12 Months Support, Job Costing for up to 8 digits and 3 years back to base hardware warranty. 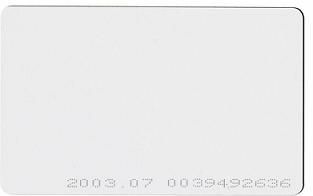 Plastic Swipe Card Rack suitable for Proximity Cards 37mm x 85mm. 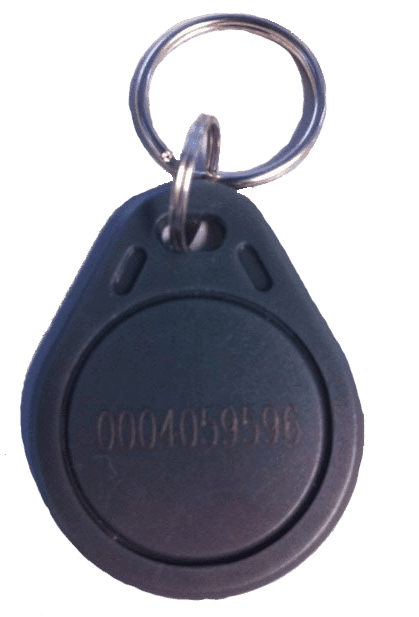 Fingertec RFID Key FOB for the Fingertec Time and Attendance Systems.